Ah, yes! The Grand Prix is finally upon us, and it started off with the Australian Grand Prix to kickstart the season. This April will see three major events as the season continues with The Bahrain Grand Prix, The Chinese Grand Prix, and The Azerbaijan Grand Prix. While it is possible to enjoy the entire experience online through the help of a Formula 1 VPN, it isn’t much of an experience unless you are in attendance at the circuits. This article addresses some of the planning that should be done before going for the April Grand Prix. Extravagance is one of the hallmarks of the Grand Prix so it should come as no surprise that the costs are so outrageous. Going to all the April Grand Prix circuits will indeed not be a cheap venture. However, you can still manage your expenditure by coming up with a budget plan. The first thing you will need to figure out is how much it will cost. Using a Bahrain Grand Prix budget planner, for instance, you can figure out how much it costs to stay in Bahrain for the weekend with the budget, mid-range or high-end expenditure, excluding the cost of travel and tickets. You can then determine where you fit in and model your budget around that. By managing your expenses, you get to avoid over expenditure on the first event(s) and spread out your budget to cover all three April events. Familiarizing yourself with the destination is an excellent way to guarantee that you avoid the culture shock, embarrassment, and inconveniences. For instance, Arabic is the main language in Bahrain, and although English is a widely used language, it shouldn’t surprise you to come across people who don’t understand the language. More importantly, it would help to know how to get to and from the circuit, the security situation and not just about your person and belongings but also your data security. The idea of being hacked shouldn’t sound so far-fetched and you should figure out how to prevent hacking when even countries are failing. Obviously, you will not spend the entire time on the circuit. 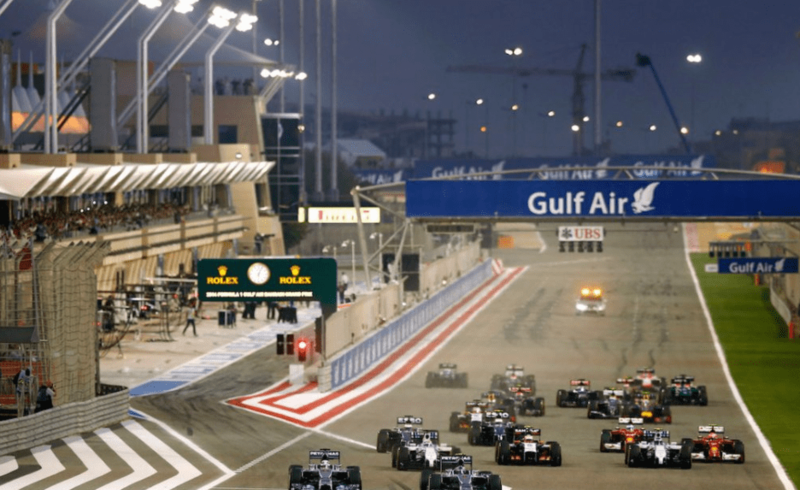 Keep in mind that the Formula 1 Grand Prix is held in prime destinations so why not take the chance to explore? Even on a tight budget, you can get the chance to see the sights, explore the nightlife and make the most out of your weekend. This is an important step in the planning for the April Grand Prix travels. There’s a week between the Bahrain GP and the Chinese GP and another two weeks between the Chinese GP and the Azerbaijan GP. Obviously, unless you have a high budget, you have to figure out what you’ll do in between circuits. What you decide to do should be the most convenient and cost-effective thing. For instance, consider if it is cheaper to stay in Shanghai, China while awaiting the event instead of going back home and then flying into China. Planning for the April Formula 1 Grand Prix travels shouldn’t be something stressful. You should approach it with the same enthusiasm and objectivity that you would a grand adventure around the world. Coming up with a budget, researching your destination, and figuring out how best to spend your time are some of the major things you should consider.